The game takes place in a world where monsters and human beings once lived in harmony. The monsters were hunted and many of them were eventually imprisoned in devices called â€œjewelsâ€. 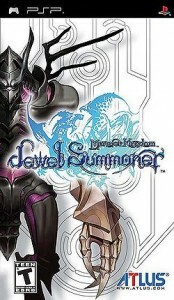 Once trapped in a jewel, a monster becomes tame and servile to the owner of the jewel, allowing human warriors, called Jewel Summoners, to use them in combat against other monsters. The story of Jewel Summoner revolves around the quest for vengeance of one such warrior, Vice, whose mother died at the hands of a monster.